Not sure how to prune your roses? 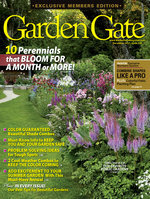 Follow these simple tips to ensure the prettiest flowers and healthiest plants. 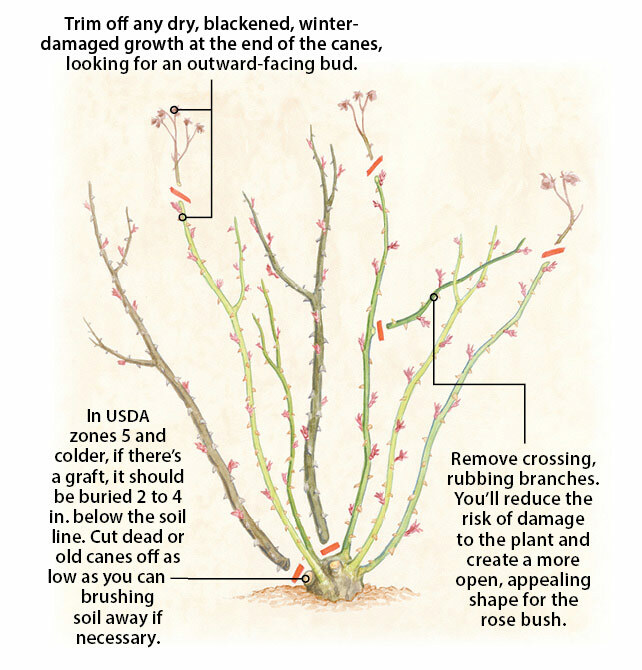 Pruning roses is easier than you might think. Most roses need a little spring cleanup, whether it’s a drastic pruning or just a light trim. 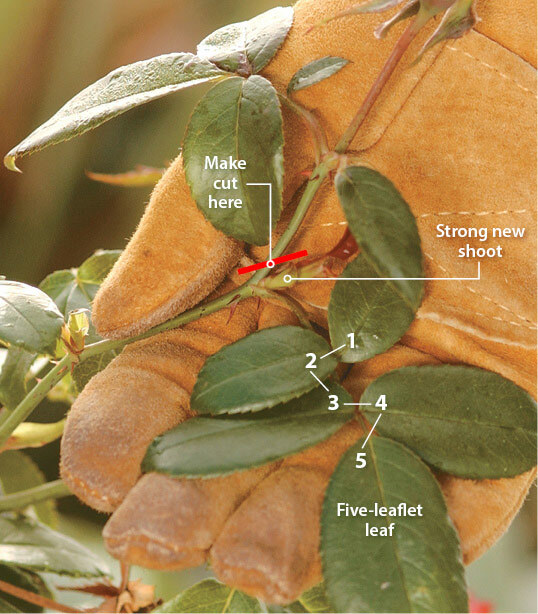 Take a look at the illustration above to see what you need to prune out of your roses and why. 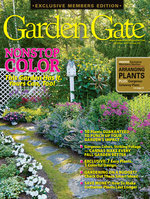 Trim off any dry, blackened, winter-damaged growth at the end of the canes, looking for an outward-facing bud. Remove crossing, rubbing branches. You'll reduce the risk of damage to the plant and create a more open, appealling shape for the rose bush. In USDA zones 5 and colder, if there's a graft, it should be buried 2 to 4 in. below the soil line. Cut dead or old canes off as low as you can — brushing soil away if necessary. Then, when roses are going strong in the summer, they’re going to need a little deadheading to keep them blooming. The photo above shows a couple of things to keep in mind as you’re deadheading a rose. See the strong new shoot? That’s where the next flower will come from. And notice that the leaf just below that bud has five leaflets? Even if you can’t spot the new shoot on a stem, it’s best to cut just above a leaf like this one. Cutting back to a leaf with only three leaflets often results in weak stems. Anytime you cut a stem that is 1⁄8 in. 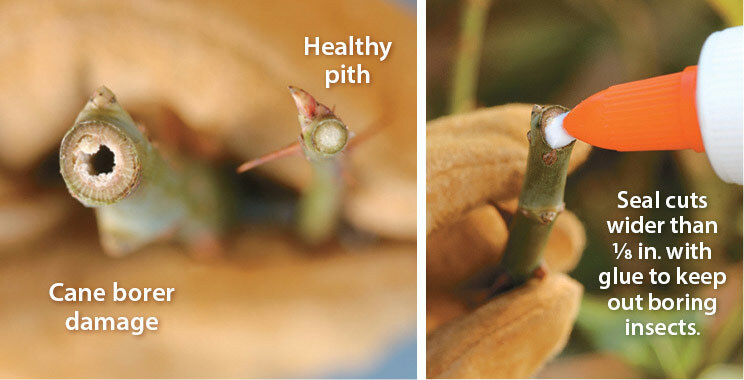 in diameter or larger, you run the risk of cane borers, as you can see in the photo above left. These worms eat the tender pith in the stem, weakening the plant. But you can see the simple fix in the photo above right — seal each cut with a drop of white glue and they can’t burrow into the stem. 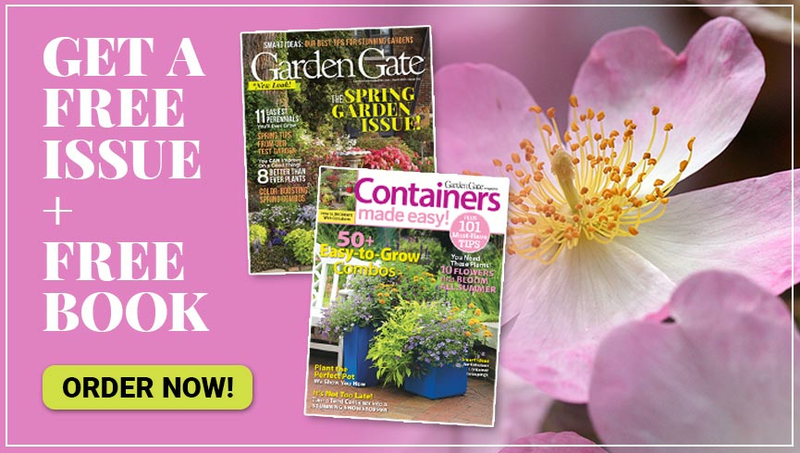 Are you growing hybrid tea roses? Read some more specific information about how to prune them here. Have trouble keeping your hanging baskets well-watered? These watering tips will help keep your plants looking great!